Story by veteran motorsports journalist Brant James. 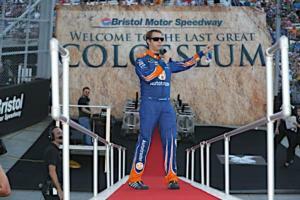 The musical driver introduction at Bristol Motor Speedway has grown from a curiosity to a NASCAR custom since 2009. It's provided drivers with an outlet to express their musical tastes or an unseen style, maybe brag a bit behind the safety of another's lyrics, and show us how much so many of them listen to AC/DC. The selections have been rated, parsed, psychoanalyzed and again this year, eagerly anticipated as fans have been given the chance to help seal the selections. With voting underway and democracy in action, we present some subtle and strong suggestions for a few of the hype introduction to come. Austin Dillon: OK, maybe we just want to hear Migos' "Walk it Like I Talk It" extremely loud inside the confines of Bristol Motor Speedway. Maybe a Daytona 500-winner in a cowboy hat being introduced to a funky dance song is on our scavenger hunt list. Either way, everybody wins. Brad Keselowski: "Born to be Wild" and "Bad to the Bone" is just trying too hard. The Beach Boys' "Little Deuce Coupe" for the driver of the No. 2 Ford just fits, and don’t we all want to see those knowing looks and smiles when everyone gets the reference? Do this one for grandpa. Bubba Wallace: Fit for a King’s “Shadow and Echoes” works in multiple levels for the Monster Energy NASCAR Cup Series rookie. First off, he races for Richard Petty. Secondly, Christian Metalcore? Who could be opposed? Chase Elliott: Eric Church and Jeff Bates made for interesting options for interesting reasons but wither, woefully to Bill Elliott’s “A Crazy Racing Man.” While Bill croons in the lo-fi classic that he hopes to “live up to John Wayne,” his 22-year-old son continues his quest to live up to his weighty legacy. Clint Bowyer: The veteran showed in winning at Martinsville that a “Country Boy Can Survive,” but Glen Campbell’s 1975 smash “Rhinestone Cowboy” just feels a better fit for Bowyer. After all, there’s been a load of compromisin’ on the road to his horizon in his second full year with Stewart-Haas Racing. Daniel Suarez: And right about then, the program will be in need of something totally different, which is the perfect moment for Luis Fonsi ft. Daddy Yankee and “Despacito.” Spontaneous dancing will ensue. There will be groans of disappointment when the Joe Gibbs Racing driver vanishes from the stage. Woe is the driver to follow him. Kyle Busch: The 2015 series champion and six-time Bristol Cup winner has the opportunity to produce a truly seminal driver intro moment with DJ Khaled’s “All I Do is Win.” Because, yes, pretty much all he does is win, especially at Bristol and in many places, with 184 top series victories at age 32. But with the proper bit of tight editing and an attentive crowd, Busch might be able to pull off one of those Queen-at-Live Aid moments in terms of reaction using the lines: “All I do is win, win, win no matter what. Got money on my mind I can never get enough. And every time I step up in the buildin', Everybody hands go up. And they stay there.” Be nice with those hands, everybody. Ryan Newman: Sometimes a sponsor shills is just too much, but this one is so brazen, well, brava, Mr. Newman. So let it be, “I'd like to buy the world a Coke” for the long-time soft drink pitch man. And may the message of peace and love pervade the mood on the bullring for the next several hours. … Nah. You wouldn’t want that anyway, would you? 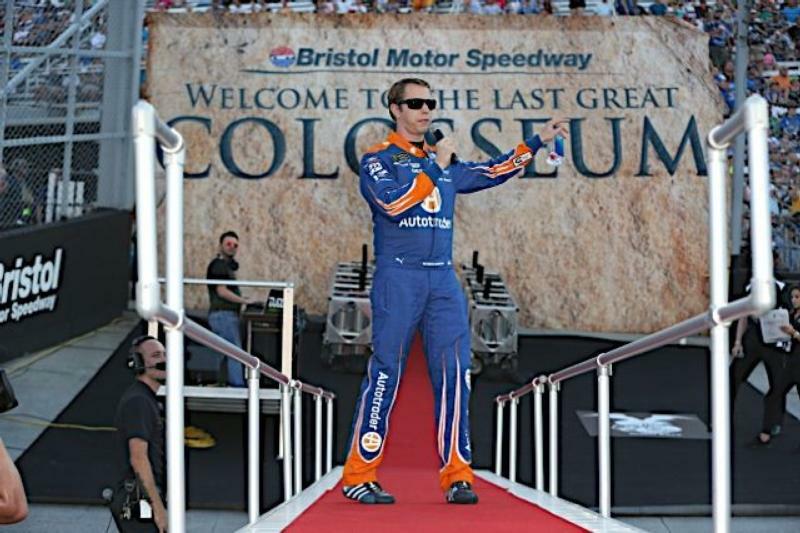 Trevor Bayne: The Roush Racing driver and 2011 Daytona 500 winner was raised in Knoxville and no matter how appropriate any of his other suggestions would have been, there was absolutely, positively no way he was getting out of Bristol without being introduced to the crowd with “Rocky Top” by the University of Tennessee Pride of the Southland band.